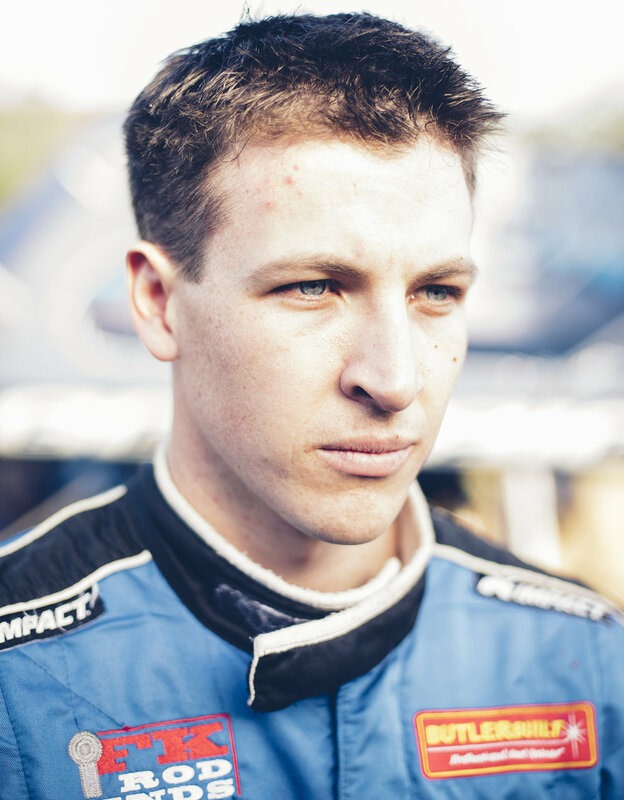 Spotlight | Like most successful racers of his generation, Shane Golobic, 26, has been driving race cars for most of his life. Starting in quarter midgets at age five, the third generation racer was already an accomplished racing veteran by the time he drove the family’s winged sprint car at age 15. Competing on dirt tracks across California, Golobic has racked up multiple state and track titles driving 410 and 360 winged sprint cars. 2017 was a career year for the driver from Fremont, California, as he continued his climb up the national open wheel ranks. Competing 81 times across the United States, he recorded 10 wins, plus a USAC Midget Week title. As the the 2018 racing season is coming to life, Golobic finds himself on the verge of what could be another banner year. With plans to drive for two top-notch teams across the state, Golobic will compete for California winged sprint car championships in both 410 and 360 machines and will also journey to the Midwest once again to compete with the heartland’s best. And, on a personal note, Golobic plans to marry his sweetheart and “biggest fan,” Sarah Wood in October. “She’s the best,” he says smiling. It’s a Friday afternoon in March and the World of Outlaws are in Oildale, at Bakersfield Speedway. Golobic is in the pits prepping the Keith Day Trucking sprint car for the night’s action. Hot laps are still an hour away and things are quiet at the historic track. There’s a threat of rain as dark clouds loom in the west and Golobic is anxious to get the night’s racing—and the 2018 season started. You’re a threat to win no matter where you show up. Golobic: Well, we try to be. That’s the goal. I’ve been hooked up with some really good teams. This Keith Day Trucking team is really strong. Pretty much anywhere we go in California, we have a chance. And, it’s always exciting to race with the Outlaws when they come out here. We get to race against the best and it’s just really cool. Tell me about the Keith Day team. How long have you been with them? Golobic: I think this might be our fifth year. I raced against this car a lot at Watsonville when I was growing up, when Ronnie Day used to drive it. And when Ronnie was getting to the point that he wanted to retire—I was at a place where I didn’t know where I was going—it worked out that they were looking for a driver and I was looking for a team. It’s been great ever since. It’s like racing with family—it’s important to feel like you’re having fun. You’ll be driving for Tom Tarlton this year, too, how will you split your time? How did the Tarlton ride come together? Golobic: I’m a third-generation racer. My grandpa started racing throughout California. He introduced it to the family and dad was hooked. He ran sprint cars in San Jose, Baylands and Chico. So then I grew up and I was watching him and when I turned five we got a quarter midget. My dad retired from driving and decided that he wanted to go racing with me. We did that for five years or so and then moved up to micros and then up to sprint cars. So, basically racing’s been in my blood since day one. I think I went to my first race at Calistoga when I was 10 days old with my mom. My dad was racing a winged sprint car. He ran NARC and all the San Jose Speedway stuff. That’s what I remember most was watching him at San Jose. We’re just one big racing family. That’s all we talk about, racing and sports. Golobic battles with Joey Saldana (83) and D.J. Netto (88n) at Ocean Speedway in Watsonville, CA, during the 2016 World of Outlaws main event. Where did you race quarter midgets? Golobic: I raced at Baylands in San Jose. That was our home track but we traveled all through California: Pomona, Madera, Livermore. We also went to the Grand Nationals in Colorado, Florida, Connecticut, Oregon, Pennsylvania. We were really good, we had a lot of success. Actually our family—my dad and my grandpa—started their own quarter midget manufacturing business, building the chassis. It was called GT American and we had a team with Ryan Bernal and Bryan Clauson, to promote the business. We all grew up together. Golobic: When we went to get my first quarter midget, the builder that my family went to didn’t have cars. We were going to have to wait and it was too long. So, my grandpa, stubborn as he is, said, ‘I’ll just build one.’ So, he built it and I went out with it and we were fast right away. (He actually built two for me.) And then a buddy said, hey, ‘can you build me one, too.’ And then the next thing you know, I think they built close to 500 of them in the span of eight years. But we raced everything there was, Modifieds, B’s and A’s. That was the cool side of quarter midgets. They don’t have those same divisions anymore. I was sad to see that go. I guess the cost got too high. I still think to this day that the Light-A quarter midget is one of the toughest things to handle, especially for a seven or eight year old. It was less than 160 pounds and those motors really hit. I think I learned a lot in the quarter midgets. Golobic: Yeah, I went to San Jose State and got my engineering degree. That was something that I really put a lot of my time into when I got out of high school. There were some opportunities in racing that I kinda put to the side so I could get my degree under my belt and have in my back pocket. Someday this racing thing isn’t going to be my full-time job. When I was a kid, I loved taking things apart… it was kind of a natural fit for me, plus I enjoyed math and physics and science. I was a nerd in high school but I kinda had to be. I needed to get good grades because if I didn’t, I wasn’t going to get to race. I had a contract with my parents. And, I think it all correlates into getting these things (sprint cars) built and trying to find more speed. Ive always been into the automotive side of design and going to school helped me understand how things work and why things are designed in a certain way and how we can change things to make it faster and why certain things make it slower. How involved are you with setting up the race cars? Golobic: Rick [Bragg, crew chief] and I are kind of a team. We do everything together. He won’t do anything to the car without talking to me and I don’t do anything without talking to him. We work together really well. And, I think it works because we’re always pretty quick. How do you approach a race? What’s your mindset? Golobic: I try to approach any race like just another race. You gotta come in with confidence and when I show up at a local 360 race, I feel like I should win and when I show up at an Outlaw race, I try to trick myself to think like I should win. Theoretically, I probably shouldn’t win, there's so many good cars here that anybody could win it but you have to think that way, like you’ve got a chance. I was fortunate to win one Outlaw show (at Antioch Speedway, 2013) and I’m trying to get that second one. It seems to be pretty tough but it could happen any night. You’ve done some racing in the Midwest recently. Golobic: Yeah, mostly in midgets and non-wing sprint cars. I got to run in Pennsylvania. I ran the whole east side national series with the midgets last year and went to a bunch of new tracks. I finished second in points which was pretty cool. I learned a lot doing that. So when I came back home, even though I’ve been to these (California) tracks a million times, I got a new outlook on them. It might be a set up idea and it might be something from your memory that just clicks. The midget competition was tough. There are some very good teams out there. There are definitely a few dominant teams and I was lucky to be a part of one with Clauson-Marshall and Matt Wood Racing. We were one of the two or three top teams. We were very fast every night. But I’m looking forward to do some more Midwest racing with the sprint car. We’re going to try to get this 22 out there. We’re working on some logistics. How do you compare racing the sprints with the midgets? Golobic: I would say that the winged cars are my number one and midgets are a close second. There’s just something about winged cars that I really love. It’s probably because it’s the first big car that I got to drive. I think it’s the toughest (form of racing) out there. I think when you come to an Outlaw race like this, there’s no harder race to win in the world. It’s a short, hard race, a lot of good cars and great teams. You just can’t show up and win an Outlaw race without knowing your stuff. I think the midgets are a lot of fun but I don’t think they’re as tough to win in. I think if you get in a really good car, string some laps together, you can win. With the Outlaws, you gotta have a really good car, string every lap together and make no mistakes, or someone is going to pounce on you. What has been your biggest success in racing? Golobic: I always go back to that Outlaw win. It’s one of the biggest wins anybody could have in dirt or oval track racing. I’m proud of winning the USAC Midget Week title last year in Indiana. You gotta be good for six nights in a row on six different race tracks against the best guys for an accumulation of points. We won that and that was pretty cool. Winning Trophy Cup (Thunderbowl Raceway in Tulare) twice (2016-’17) is also one of the bigger races out here—it’s the biggest 360 race on the West Coast. To win that two in a row… I’m proud of that. What do you think your “secret” to success has been so far? Golobic: Well, if I knew, I’d put it in a bottle and be a millionaire. Really, it has to do with being with great teams. This 22 team has been huge for me. And, racing with Matt Wood and the Clauson-Marshall guys in the midgets, that was special. With racing, if you don’t have a good team, it’s tough to perform. Last year I think we ran 80 races and had 65-70 top fives. That sounds like a great year but there are some races where you feel like you could’ve done better, where I made a mistake, or something happened, those stick with you. You have to have a short memory and write those off and learn from it and move on. If racing was all highs, everybody would do it. The problem are the lows and there are a lot of lows. Sometimes the lows are when you run second because you thought you should have won, or you’re leading and you get passed with two to go. I try to stay positive.